As you would not chug a hot cup of tea, you also should not speed through a primary document! You risk a burnt tongue and not fully understanding what you just read. Try reading Jonathan Swift’s A Modest Proposal quickly! You may walk away with a very disturbed understanding of what you have just read. 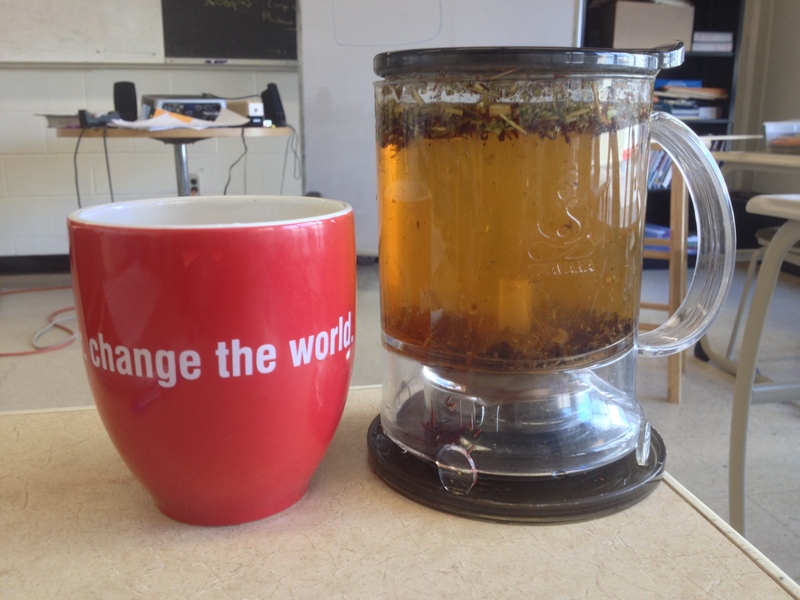 I typically start most mornings of with a loose-leaf tea. Except on Fridays when I make my weekly pilgrimage to Starbucks for their expensive yet delicious Reserve coffee. As many of my students initially often read for speed rather than for understanding, primary documents tend to trip them up – particularly when there are a number of difficult words in them. In my inclusion grad class, we have been discussing the need for procedures for some students that enables them to tackle tasks with a clear path forward. With that in mind, I’ve been working on one to address reading primary or dense secondary documents – a procedure to get a general understanding of a letter, piece of legislature…really anything that is written. Note: This is not intended to be the only thing we do with primary documents, but it will simply be our first step. Read to get initial reactions or ideas from passage. Replace troublesome words with definitions or synonyms. Reread with the replaced words. Does this make more sense now? Reflect on the importance of the document, the author, and the time period. Is this a new or contrary idea? What argument does it address/set up? Rewrite the passage in a smaller chunk to demonstrate your understanding. If at this point the student is off-base, I can easily see where they are and how I can offer additional support! Thoughts? What are some ways you teach reading primary documents? This entry was posted in Common Core, History, Reflection and tagged Close Reading, education. Bookmark the permalink.